The Goods Line disability access intrigued me. 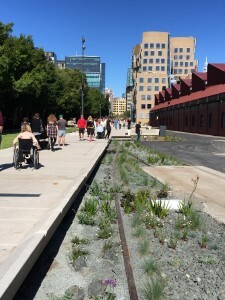 Is it Sydney’s answer to New York’s High Line? 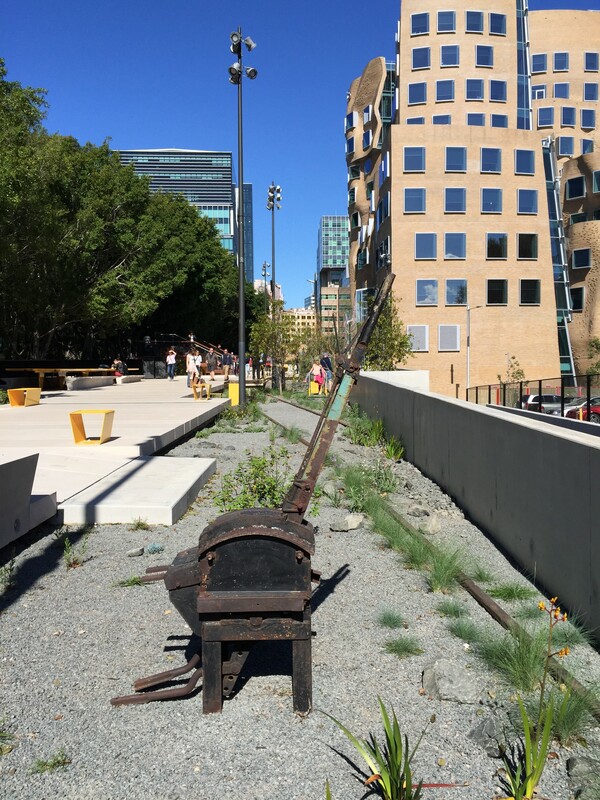 Have you heard of The Goods Line or the High Line? Where does The Goods Line take us? 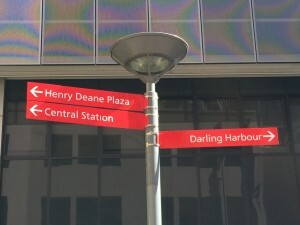 Does The Goods Line improve disability access to anywhere in particular? 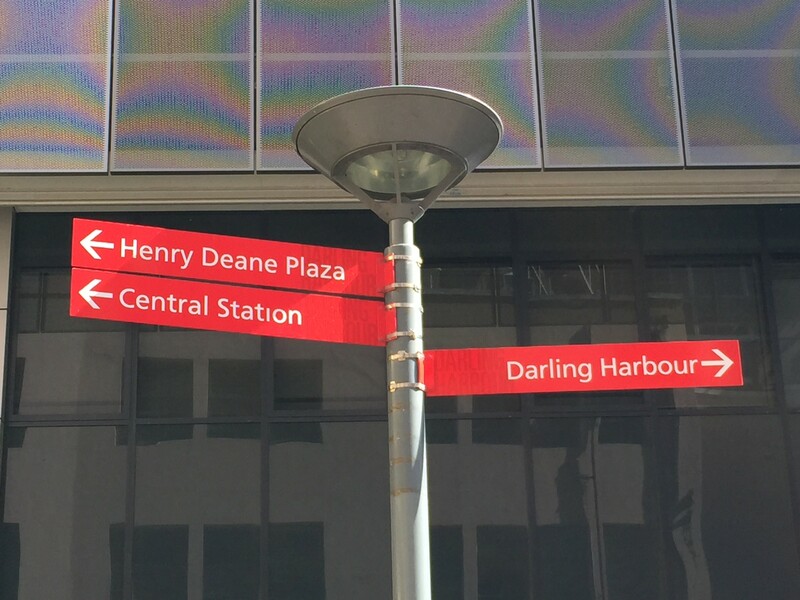 Off we go to find out…. 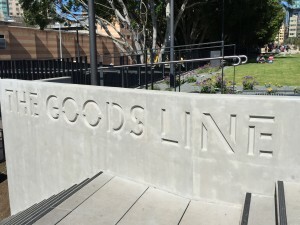 The Goods Line is a redevelopment by the Sydney Harbour Foreshore Authority that allows public access to the former rail line. But The Goods Line disability access is my quest? This short corridor, with its bridge over Ultimo Road, had fallen into disrepair when the railway line closed. As from August 2015 the 500 meters of connective infrastructure links Central Station’s Devonshire Street tunnel to the Powerhouse Museum. It passes the University of Technology Sydney (UTS) and the ABC studios and the track contours Frank Gehry’s Dr Chau Chak Wing Building, UTS Business School. But does The Goods Line disability access impress us? 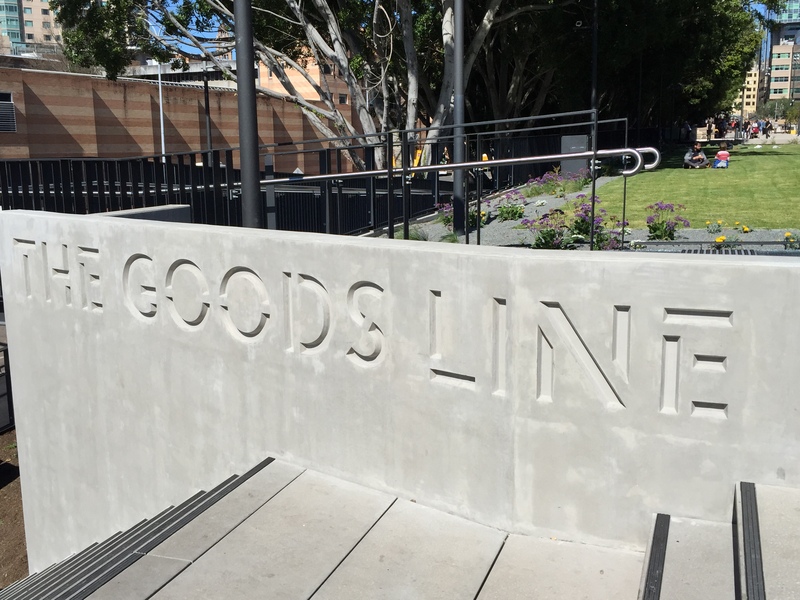 The Goods Line disability access is a success through revitalised old infrastructure. Emily had a steep gradient to negotiate at the Powerhouse Museum entrance but actually on The Goods Line the route is flat and accessible. We quickly established The Goods Line disability access has been achieved in a seemingly effortless style. The Goods Line is marketed as a pedestrian / cycleway but I would advise cyclists to dismount as many pedestrians are small children. On Sunday afternoon numerous family groups were enjoying a playful stroll, the path is conducive to ambling rather than speed. The Goods Line disability access is delivered via a ramp to Paddy’s Market in Hay Street. 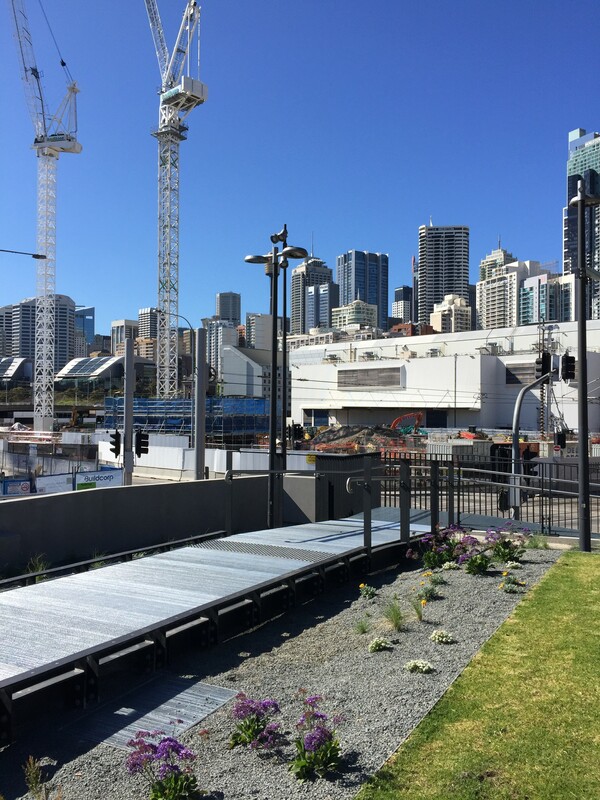 From here several routes link to Darling Harbour with its restaurants and attractions. 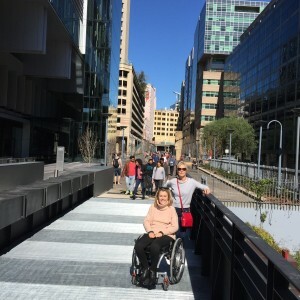 The Goods Line is an urban and practical walkway but does The Goods Line improve disability access to University of Technology (UTS) or Technical and Further Education (TAFE)? I contacted UTS and TAFE Ultimo to ask. Both institutions were extremely friendly and helpful and I would encourage individuals to contact them directly for precise details regarding The Goods Line disability access. 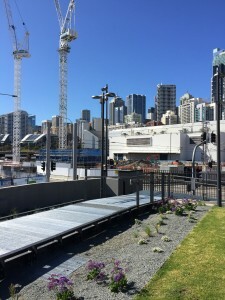 The Goods Line is short but it embraces exciting urban renewal designs with recreational outdoor space, community amphitheatre, communal tables and study pods. The Goods Line disability access does more than just improve access, it delivers some fun. 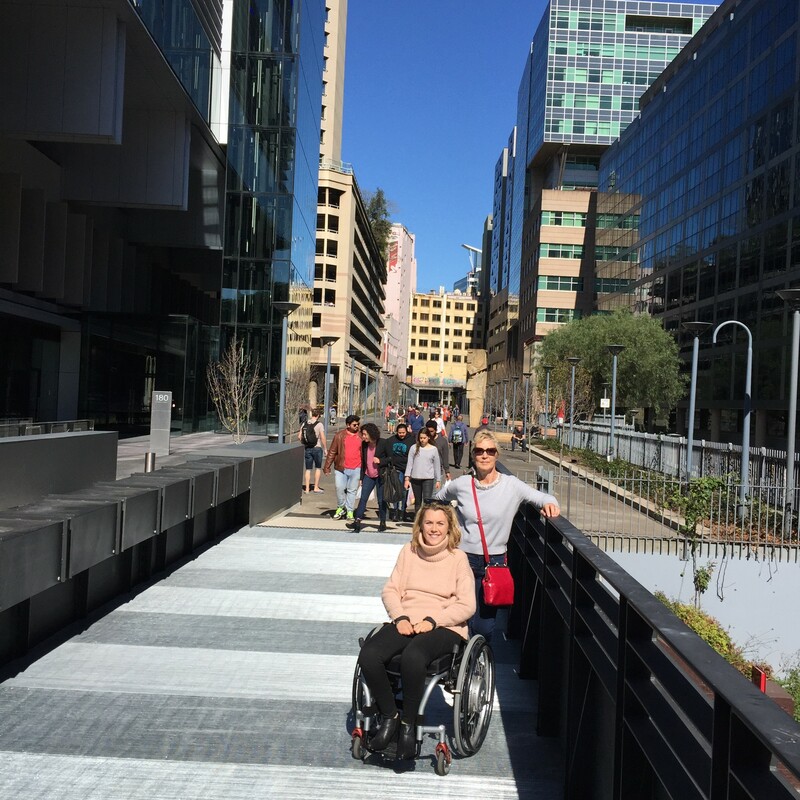 The Goods Line – another success for Sydney’s disability access. 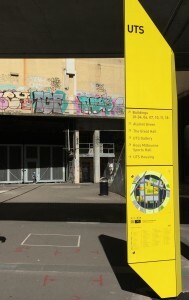 This entry was posted in Advocating Ability and tagged ABC Studios, Disability Access, TAFE, The Goods Line, The Goods Line Disability Access, UTS by everydaycarer. Bookmark the permalink.